This is the "Pt. 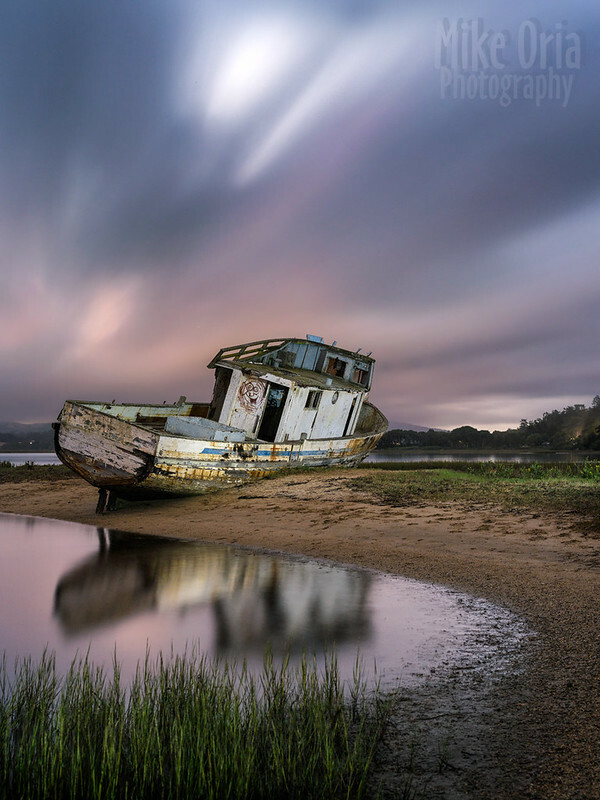 Reyes" shipwreck near Inverness, CA. This was a 229 second exposure to capture the streaking clouds and moonlight. I did a little light painting using my headlamp. Lens is the D FA55mm f/2.8 on the 645D. You captured the feeling in your shot. Long marine service deserves a peaceful sunset time.